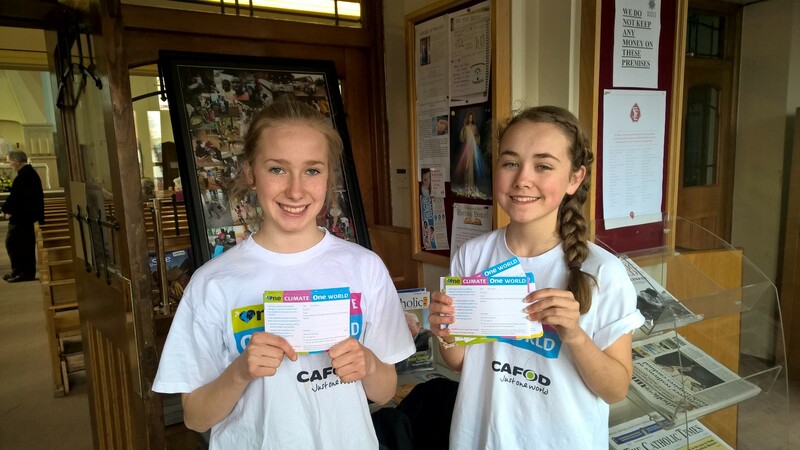 On 6 February, the CAFOD youth team will be attending the CYMfed Youth Leaders’ Congress in London. This is a day of nourishment, networking and renewal for those who are involved in working with young people in the Church. Julia Corcoran, a former CAFOD gap year volunteer and currently an intern with Columbans’ Justice and Peace team, reflects on the value of the congress. 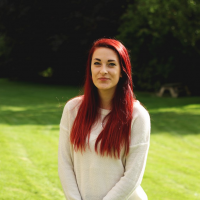 My name is Julia Corcoran and two years ago I took part in the CAFOD Step into the Gap programme. I loved my time on the programme and was fortunate to see the work of CAFOD in Sierra Leone. After the programme I went on to complete my masters in ‘Rights, Gender and International Law.’ I am now doing a 12 month internship with the Columbans’ Justice and Peace team and CYMFed’s Administration. My time on Step into the Gap definitely prepared me for what I am doing now. I often go into schools and talk to young people about a variety of Justice and Peace issues. Kathleen O’Brien is our secondary resources coordinator, leading on the material for young people this Harvest Fast Day. If you visit the education webpages this Harvest you will be greeted by Isabel and Diego, two young people who explain what life is like in a gang-dominated area of El Salvador, and talk about how CAFOD partners are helping their community to create safe, bright spaces where children and young people can play, learn and meet with their friends. We really wanted to convey the brightness of this project in El Salvador, the brightness of the community, and the brightness of a hopeful future. 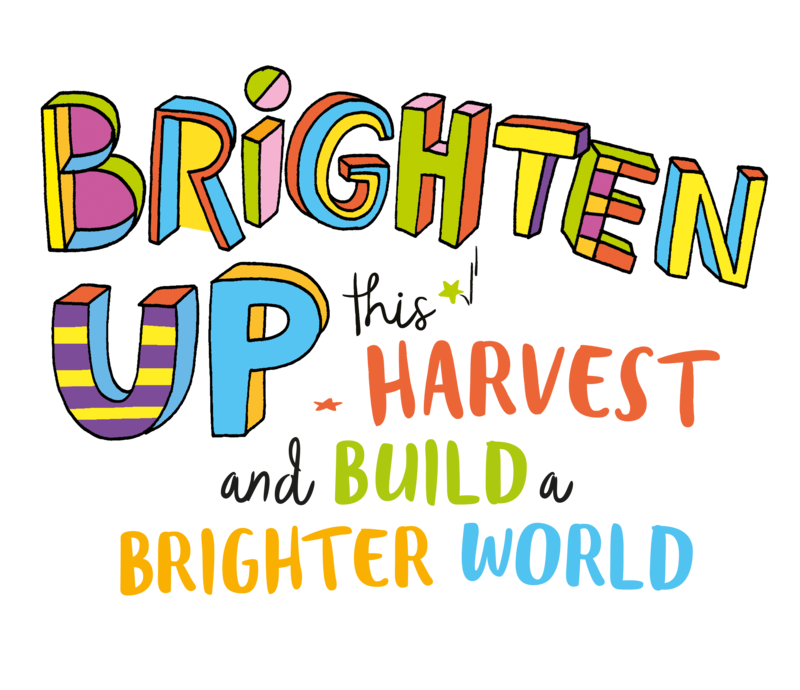 So this Harvest we are asking children and young people to Brighten Up to help build a brighter world. To do this, we set about making a short, bright, fun clip to introduce the fundraising theme. Harvest Fast Day: Getting ready to Brighten Up! Katharine O’Brien is a parish youth worker at Our Lady of Lourdes Parish in Wanstead. This Harvest we are asking children and young people to Brighten Up to help build a brighter world, and in this blog Katharine explains how she will introduce the theme and explore the material with the children and young people she works with. Harvest Fast Day is approaching. On Friday 2 October, schools and communities around the country will be raising money to support communities affected by violence, like Isabel’s. I watched Isabel’s film and saw the reality of life in San Salvador, El Salvador. The video offers insight into her community, into the heart of the youth project seeking to brighten up the prospects of young people, to tackle the reality of gang culture and the danger they face simply by stepping out of doors. Isabel tells us how sad it is to see the children she grew up with turning to guns and violence. Author vahmedPosted on September 10, 2015 Categories UncategorizedTags El Salvador, Harvest Fast Day, young people, youth leadersLeave a comment on Harvest Fast Day: Getting ready to Brighten Up!